Back to school is a few days away…I cannot believe it. Where did the summer go? I remember last year feeling anxious and nervous as my oldest son started his first day of Junior Kindergarten. And now, as he starts his second year in school going into SK, I feel nothing like I did last year. I am excited. I am happy for him. And I am not nervous or scared, and neither is he! 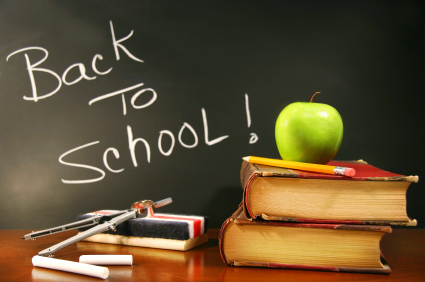 Since I am now a back to school aficionado, I figured I’d take the time to share a few things that you should get for your child as they start their first year in school. I’ll admit my favorite place for children’s clothes is The Children’s Place. My son practically lives in his cargo and sweat pants. They are comfortable and nice enough to wear on a daily basis. I sent my son in jeans on his first day of school…he rarely wore them again. Comfort is key for a long day in class! Whether it be their lunch box, school bag, thermos or clothing, labels have become my best friend. Who better than Mabel’s Labels to provide you with all of your needs. Not only do they have different styles and sizes, they have combo packs specifically targeted towards your back to school needs here. I recently had the opportunity to work with Well.ca at an event they were hosting. I couldn’t believe the amount of products they offered. Whether it be for lunches, bags, snacks, or supplies, you will be set in finding all of you need for back to school. Check out all their amazing product here. Even better, they are having a Long Weekend Blowout Sale! Save up to 75%!! My first school shopping experience all started at Walmart. I found amazing products like thermos’s, cups and my favorite, bento boxes! They are perfect for lunches and snacks and come with ice packs that attach directly to the product. Rubbermaid has some amazing products that you should definitely check out, especially their line of LunchBlox. I wish all of your kids a wonderful school year! Any items or shopping destinations you would add to the list?